Panambur: The life guards rescued a teenage boy from drowning at Panambur beach on Sunday February 10th. 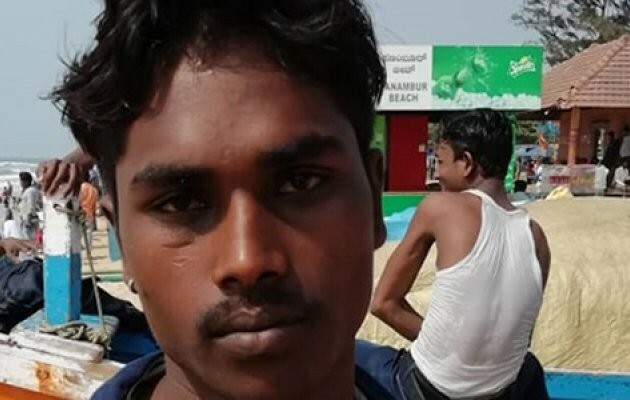 The rescued boy is identified as Pushparaj (19), son of Gulab Singh, a resident of Madhya Pradesh. According to sources, 6 persons including Pushparaj had come on a visit to Panambur beach at 1 pm in the afternoon on Sunday. The group ventured into the waters and all of a sudden, Pushparaj was swept away by the strong currents. Seeing him drowning, his accomplices screamed for help which alerted the lifeguards who rushed to the spot and rescued him, inform sources. There is a caution board at Panambur beach to be careful and not to venture out into sea water yet, tourists persist on ignoring the risk.